Fall is upon us. Winter will be here before we know it. In my household, this time of year means SOUP. I've complied some of my favorite and most-popular soup recipes from Joyously Domestic. Some are for the slow cooker. Some are vegetarian. A few are cream-based soups. A handful of them are more-healthful and good-for-you versions. Basically, there's something here for everyone. Just follow the links to check out the recipes for each soup. 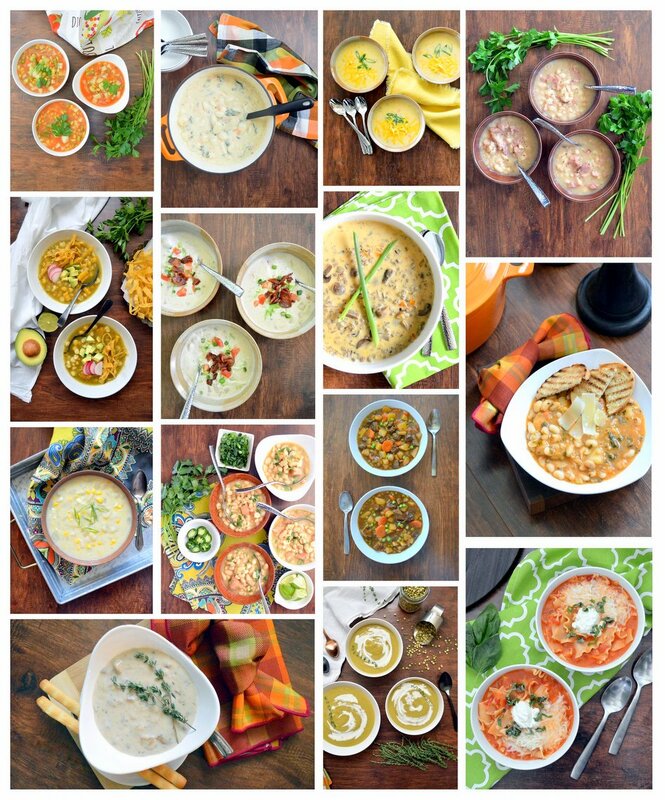 And, if you'd like to browse through all of my soup recipes, you can visit my RECIPES page here and look through the SOUPS, STEWS AND CHOWDERS section.